OK, someone has to do it, so it might as well be me. Let's see who can come up with the best 37-track Anthology tracklist. Yes...yes you are right, databank. It’s details like these that show the care and understanding of Prince’s catalog required to preserve his legacy. That’s why it matters. 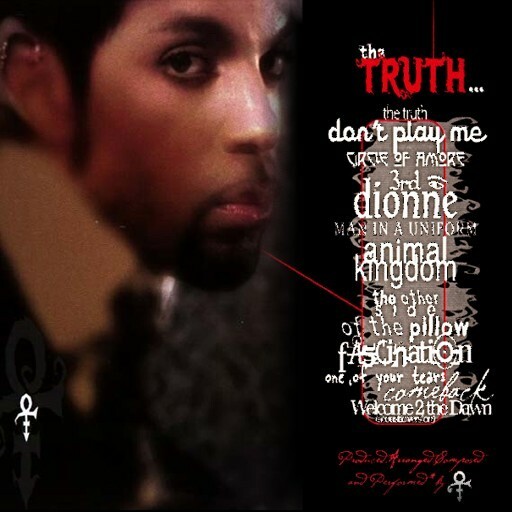 The artwork on Princevault (and all derivatives such as the one you've posted) are said to have been made from the promo cassette artwork, but I was never able to find a picture of this cassette online. I see we have sand in our vaginas again. Although Prince(R.I.P. ), was VERY meticulous about the sequencing of his almost FORTY mAsTeRPiEcEs of albums, that he accomplished in a VERY short lifetime. More than ANY other artist in the history of muziq. As long as the casual & newer fans are streaming his vast catalog of after WBR years of recordings(My favorite time period) it doesnt really matter how HORRIBLY Sony is compiling the tracks together. At least they're out there now. But I'm VERY impressed that U care about Prince's(RI.P.) legacy.At least somebody does. I happy these albums are out there. It feels right. ChocolateBox3121 said: It’s details like these that show the care and understanding of Prince’s catalog required to preserve his legacy. That’s why it matters. 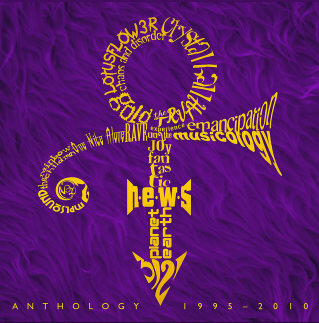 I agree, and I don't have a problem with "Anthology" being a gateway for new fans to discover the second half of Prince's career, and certainly love the fact that the full albums themselves are now widely available. His talent was immense and far reaching, so no one should be surprised that the small details in his work mean a great deal to a great many. Don’t let the so called “poor excuse” ANTHOLOGY ( its not, it’s fine)spoil the pleasure of many of the previously unavailable releases now being available. I mean a lot of the NPGMC exclusives are now here for everyone to fill in their gaps etc. Some of this material was hard to come by. And now practically his whole catalogue is now out there for new fans to discover like everyone bitched about. So what’s the problem? Y’all shoes on too tight or somethin?! I don't agree with some of the songs on the Anthology..Some I find to be really weird choices..BUT THAT ALL BEING SAID, I am glad they were thoughtful enough to do an anthology...This might cheer some orgers up --Rolling Stone just recommended streaming the anthology on their site. It is included as an editor's pick...and they don't call it the best of his later years but rather a "primer" and a jumping off point. "Who cares"? Anybody that is listening to this playlist, ahem "anthology", who desires a well sequenced collection that flows, that's who. On Tidal, there is Emancipation, 3121, Musicology, and more! I’m a freaking kid in a candy store!!! Nice cover! What's the tracklist? I use Apple Music and they don't have it yet. I don’t want to sound like I’m bitching, but why wasn’t the anthology 1994 to 2010? Dark and The Most Beautiful Girl in the World should be on this anthology. For the most part, I think the tracks selected are good. But Colonized Mind needs to be on here because it is a masterful track. Also, where is Future Baby Mama; He won a Grammy for that song. Also, why does the album stop at 2010? Well, silly anthology aside it's great to be getting these albums on streaming services that people actually use. I notice The Most Beautiful Girl isn't on the compilation, that song just refuses to be made available. TMBGITW was available on Tidal until about a month ago, but now, it still appears on TGE’s tracklist, but I cannot stream TMBGITW. It’s very interesting that Hit N Run phase one is only a purchase choice and the only one not available to stream. Wonder why, or if they just forgot it. I don’t want to sound like I’m bitching, but why wasn’t the anthology 1994 to 2010? Dark and The Most Beautiful Girl in the World should be on this anthology. I know that TMBGITW was on the 4ever compilation. Whilst there’s a couple of tracks which I think are odd inclusions, the curator has done a great job. They included The Love We Make for starters. Very nice little intro to Prince’s later work. It’s an easy way for the masses to dip their toes in. Long overdue. I agree with you! It’s a great way to introduce casual fans to his later material! from 1995 it means that Prince’s Come has slipped through the cracks! I thought the same thing. Dark is the best song on Clme and was worthy of being on this anthology release. They wanted to compile what they were releasing that was not on their platform before. iTunes is selling things from the later years, AOA, Hit n Run phases are all for sale and have been. It doesn’t start at 1994 because COME is for sale and has been and the issues with TMBGITW legal battles and where it can be sold and streamed is the issue and why you don’t see it. Also, The One and The Holy River should be on 1995-2010 Anthology. I've used this extract from The Truth album promo artwork that circulated widely back in 1997 as the image art for audio files on my PC. It's much closer in contrast and tone to the original circulating imagery than the lighter image posted earlier in this thread. The higher-resolution file that I extracted this from is on an older drive somewhere, I'll have to dig it up later. databank said: Yes...yes you are right, databank. The Truth has been on Tidal ever since I joined, which was at least a year ago. The version released yesterday has a slightly different cover but the same tracklist. -MPLSoUND was previously disc 2 of Lotusflow3r on Tidal. NPG records was the label except for TVOF4S which is NPG and Warner Brothers. Also available under the artist The New Power Generation for the past year were Exodus and Newpower Soul. Not sure about One Nite Alone. I downloaded it yesterday but I thought it was already on Tidal. Maybe when I downloaded it, the new version overwrote the previous copy? HNR 1 and 2 havé been available to stream on Tidal ever since I jouned about a year ago. I know that Come has been available to stream (although hard copies have not been available new. Is the Anthology going to be a physical release also? I agree about I Like It There. I think it should replace Chaos and Disorder. I hear you. Probably because Emancipation was his first independent album.